Welcome to my stop on Natasha Lane's tour! I haven't had the opportunity to read this book quite yet, but I'm definitely planning to! It sounds so amazing and I'm so excited to share it with you! 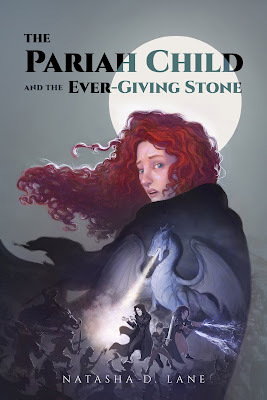 When Sarah was four, she promised her mother she would be a good girl -- a proper young lady in their small country town -- and that she would ignore the creatures who appeared to her and whispered in her ear of things unknown. But like all creatures of myth and legend, they won’t be ignored forever. Ms. J: What motivated you to start writing? Natasha Lane: I don’t think there was really any one thing that motivated me. I always enjoyed reading and I think that love of reading just transitioned into a love of writing, as well. I know that when I was in my teens and even today, actually, writing acted as an outlet for me. I could freely express myself, all of me, in writing which is probably one of the reasons I kept so many diaries. So, I guess reading was a way for me to escape, while writing was - is- a way for me to express myself and fight back against anything that tried to suppress me. Name the first book that made you cry. The first book? Okay, that’s a hard one because I’ve read so many books over the years. But, if I had to pick, I’d say She’s Come Undone by Wally Lamb. It may not be the first book that made me cry but it is one of the books that did. I was older than thirteen when I read the book but once a chubby kid, always a chubby kid. I still had those self-esteem issues and I still recognized my own struggles with self-love and weight. So, when I was reading about Dolores, it was like I was reading about myself. Describe your favorite book from your childhood. If we’re talking about young childhood, I’d have to pick The Rainbow Fish by Marcus Pfister. I had the special cover where the fish was raised up, so you could smooth your hands over its scales and it was just covered in glitter. Basically, candy for a crazy, artistic kid like me. I also liked that the Rainbow Fish was selfless and cared more about making her friends happy. What are some of the themes you often include in your stories? Like most people, I’m a sucker for a good underdog story. I enjoy taking characters that aren’t exactly extraordinary or they may even be a little messed up and putting them in situations where they get to shine. I try to emphasize the importance of founded families, friendship, kindness, willpower, self-love and courage. To name a few. I think for some people it is. It’s spiritual for me but only to a certain extent, depending on how you define spiritual. I think, for me, writing is more of a therapeutic practice. It helps me clear things up that I can’t really make sense of otherwise. Sometimes when I go back and read my writing rants, everything just comes in clearer. Name a book that has had a significant impact on your writing. 1984 by George Orwell. I didn’t like every book that was required reading in high school but 1984 is an exception. The book was one of my first sci-fi, dystopian reads but what really got me about it (besides the the basic concept and world building) was the ending. Up until then, I had never read a book where there wasn’t a happy ending. 1984 reminded me that stories don’t have to have happy endings to be good. Obviously, being able to live off my writing, at least in part, would be great. However, what matters most to me is that I spark something in readers like the books I read sparked feelings in me. Hopefully, all those feelings are positive but just to cause a reaction in readers, to get them to think, to question and to rile them up, would be success to me. 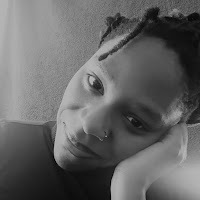 Natasha D. Lane is a friend of most things caffeinated, a lover of books, and a writing warrior to her core. As a big believer in the idea that “the pen is mightier than the sword,” she graduated from Juniata College in 2015 with hopes of becoming a journalist. While she still holds on to that dream, after spending some time in the corporate world and then completing a year of service, she decided it was time to return to publishing. Her first fantasy novel “The Pariah Child & the Ever-Giving Stone” is one of several works she plans on completing. If there were a single piece of advice Natasha could give to young writers, it’d be this: Write your way through life. This does sound interesting! I can definitely see how writing can be therapeutic, and that's so interesting how 1984 influenced her that way! Great interview!